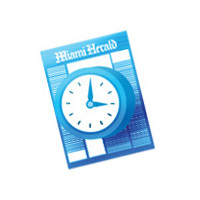 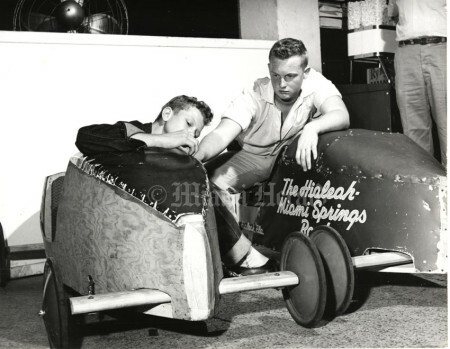 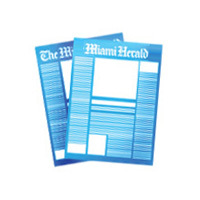 In 1956, the fourth annual Miami Herald-Chevrolet Dealers Soap Box Derby pitted horsepowerless speedsters against each other, with 150 South Florida boys between 11 and 15 competing with their homemade racers for the top prize, a trip to the Soap Box national championships in Akron, Ohio, and the T.H. Keating trophy. The race took place June 30th at the Orange Bowl Stadium. A series of Soap Box clinics were held at several Chevrolet dealers around the county to help participants with contest rules and help them learn the techniques for building a winning speedster. 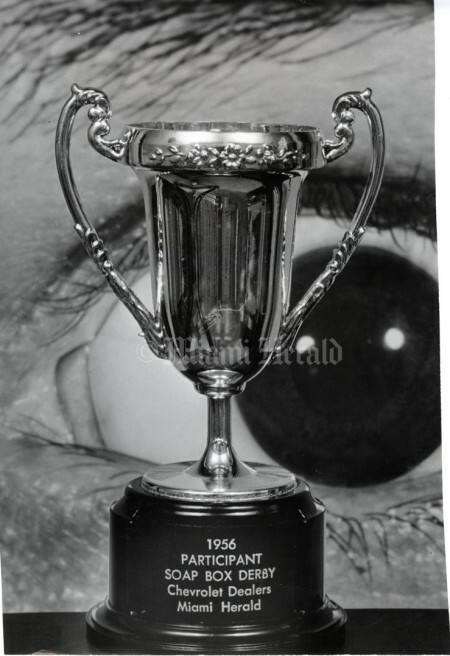 Buy any of these photos in the Herald store. 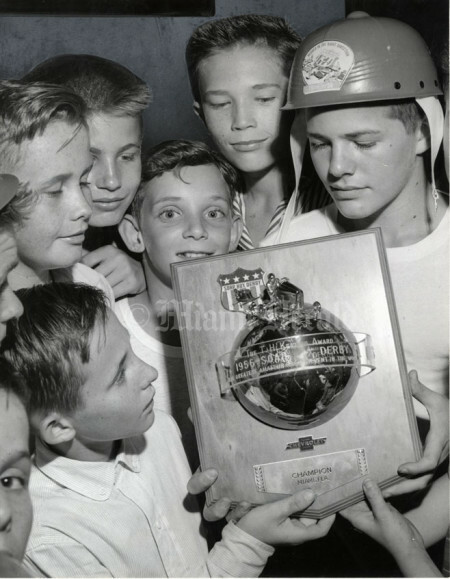 6/16/1956, John Walther/Miami Herald Staff -- Aaron Todd shows local boys the Soap Box Derby trophy for the Miami winner. 6/5/1956, Steve Wever/Miami Herald Staff -- Soap Box Derby trophy. This photograph was published in The Miami Herald Sunday, June 10, 1956. 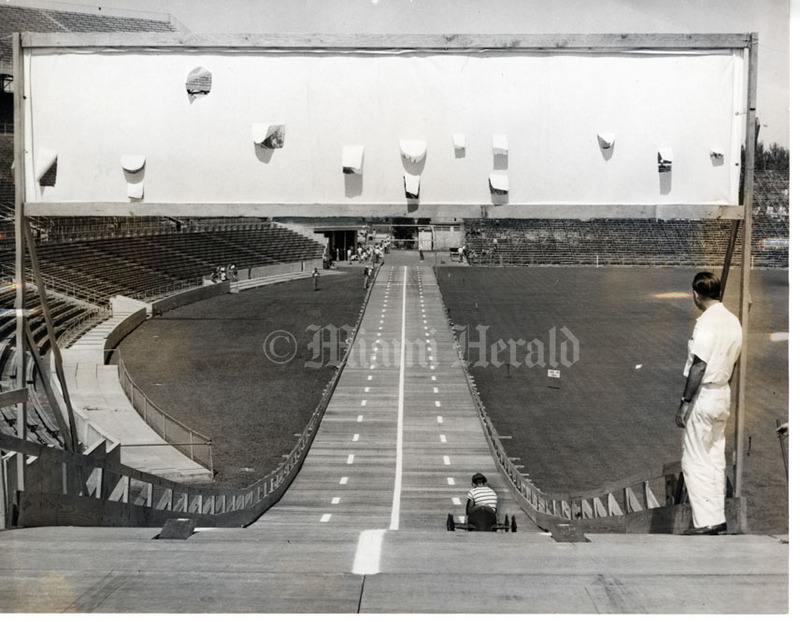 6/23/1956, Lyle Byland/Miami Herald Staff -- Soap Box Derby track as seen from behind the banner atop the starting point. 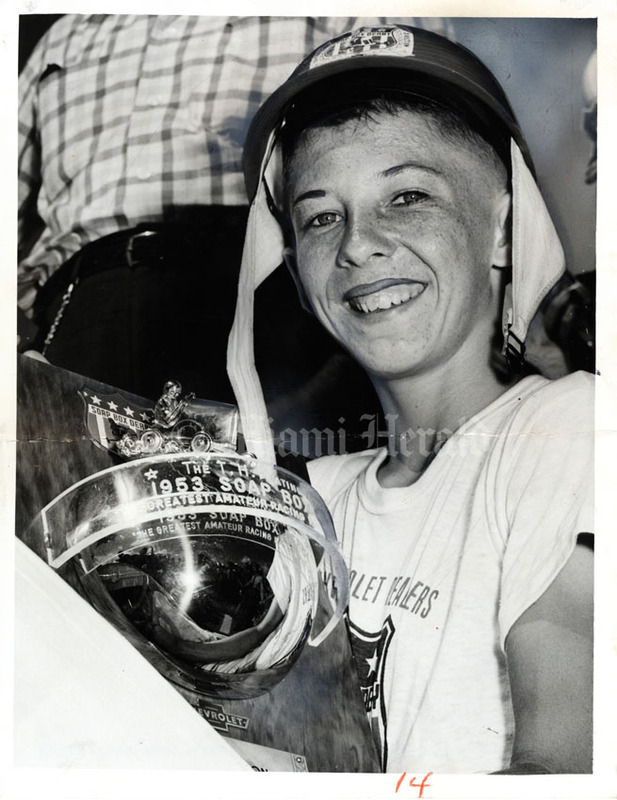 7/19/1953, Doug Kennedy/Miami Herald Staff -- Bobby Thompson, winner of Soap Box Derby. 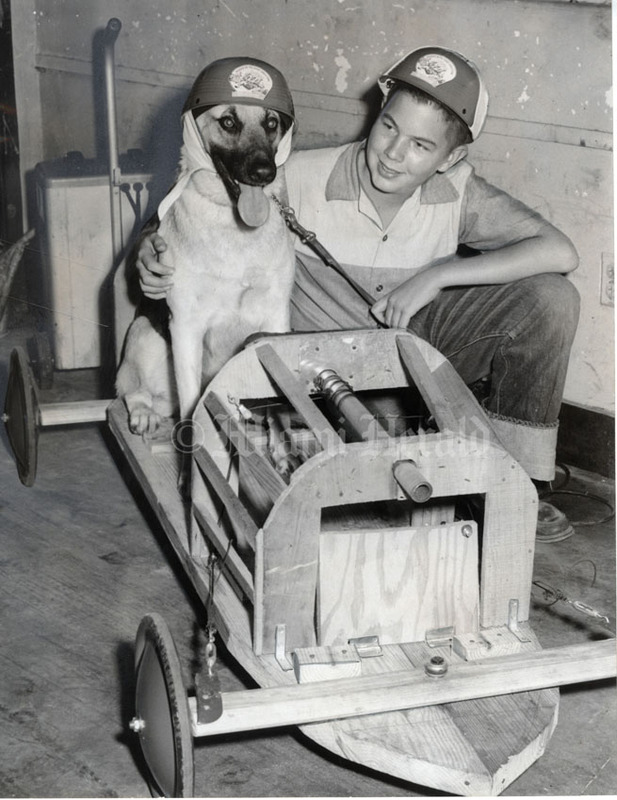 6/8/1956, Doug Kennedy/Miami Herald Staff -- LeRoy Polgrean and dog Bambi with Soap Box Derby racer under construction. 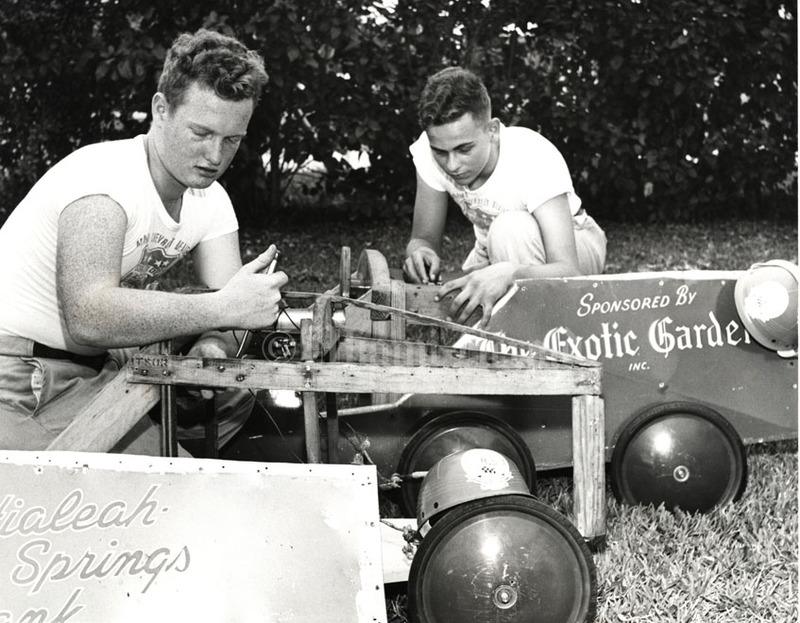 5/25/1956, Lyle Byland/Miami Herald Staff -- Frank Daniel, left, and George Fornshell, both 14, with Soap Box Derby racers. 5/2/1956, Bob East/Miami Herald Staff -- George Fornshell, 14 and John Fornshell, 13, with Soap Box Derby racers. 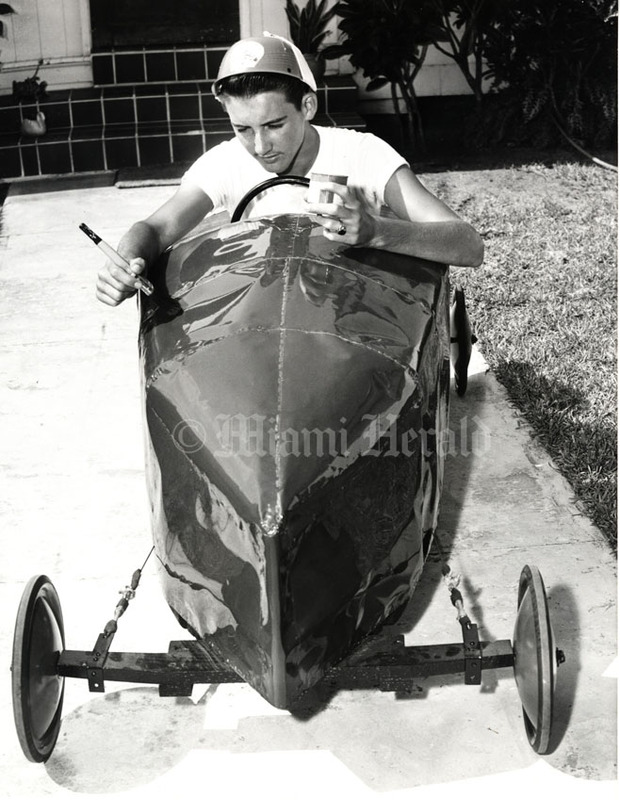 6/21/1956, Steve Wever/Miami Herald Staff -- Joe Teller painting Soap Box Derby racer. 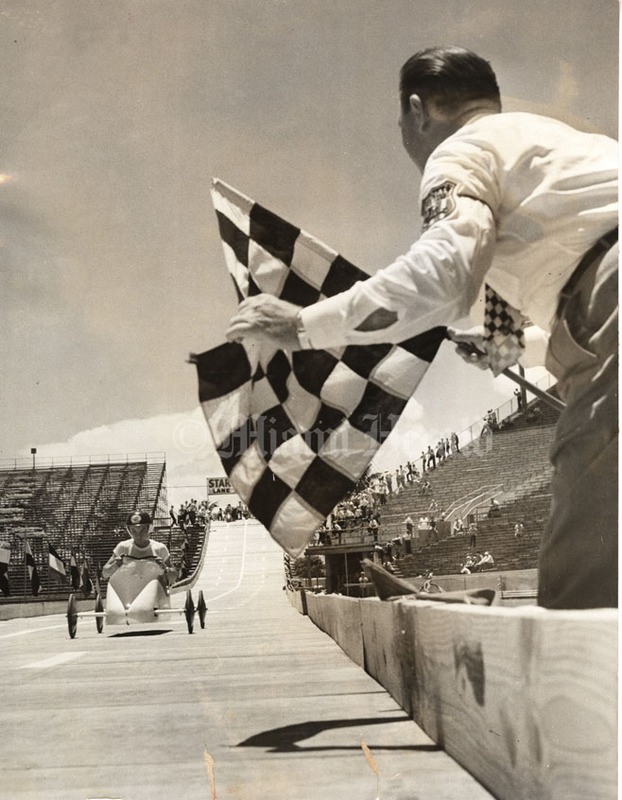 6/30/1956, Bill Sanders/Miami Herald Staff -- Checkered flag at finish of Soap Box Derby track.